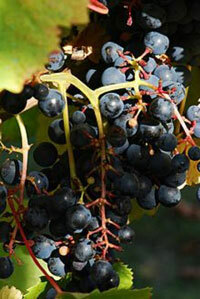 (Nanowerk News) Demystifying the chemical processes that create a wine's aroma, and the invaluable potential application of that understanding in winemaking, is the new objective of scientists in Uruguay who, with European partners, also recently sequenced the genome of the high-value Tannat grape, from which "the most healthy of red wines" are fermented. Meanwhile, a quick, $1 test in development by researchers in Paraguay and Uruguay promises to reduce the economic and health burden of 3 million cases of syphilis in Latin America -- a disease readily treated and cured if diagnosed early. Though seemingly disparate, the twin breakthroughs have a common midwife: the UN University's Venezuela-based BIOLAC programme, which in 2013 marks 25 years of advancing regional economic and health interests by building biotech science throughout Latin America and the Caribbean. Wines made from the Tannat are known as the most healthy of red wines due to their high levels of procyanidins, said to be good for reducing blood pressure, lowering cholesterol and encouraging healthy blood clotting. Connected at UNU-BIOLAC workshops in Montevideo, Uruguayan chemistry professor Francisco Carrau and scientist Massimo Delledonne of Italy recently collaborated on sequencing the Tannat grape, pressings of which, thanks partly to its many seeds, produces the largest concentration of tannins -- an anti-oxidant that combats the ageing of cells. Wines made from the Tannat are known as the most healthy of red wines due to their high levels of procyanidins, said to be good for reducing blood pressure, lowering cholesterol and encouraging healthy blood clotting. Says Prof. Carrau: "A wine made with Tannat has twice the tannins of Cabernet Sauvignon, Merlot or Pinot Noir. Sequencing the grape's genome will allow vintners to protect a valuable niche in the world's $300 billion wine industry." Now the same researchers are probing a secret of nature of potentially great commercial interest as well: how soil conditions, minerals, sun, temperature, climate, altitude and other environmental factors affect the expression of genes in grapes and the chemistry of wine's aromas and color. "Winemaking has always been an art. Today it is also a science," says Prof. Carrau. "If we can determine through biotechnology the factors that determine a wine's aroma and color, we can potentially apply that information to create more pleasing and valuable products." "Such information can also valuably guide decisions about where to plant new vines, which typically produce their first fruit after five years and their best fruit in about a decade. Having the ability to predict successful vineyard location holds enormous value." Tannat is the "national grape" of Uruguay, South America's 4th-largest wine producer with 8,500 hectares (21,000 acres) of vineyards. More than a third of the grapes grown are Tannat, from which the country's signature wines are produced. Plantings of Tannat (also known in Uruguay as Harriague) have been increasing each year as that country's wine industry develops. Though a small player still, Uruguay is a rising star in the world's wine industry, exporting about 17% of its production (over 20 million litres valued at $15 million in 2012; a roughly 500% jump in the value of exports from 2004). The main exports are Tannat or Tannat blends and vineyards in Uruguay have begun to distinguish between "old vines" -- descendants from the original cuttings brought over from Europe -- and new clones being produced today. The newer vines tend to produce more powerful wines with higher alcohol levels but less acidity, as well as more complex fruit characteristics. "Discovering in more detail the health-promoting compound in the Tannat grape requires us to continue work on its genome. I suspect that in future, such information will help the variety become far better known around the world." Syphilis has become, again, a serious health issue in Latin American countries with 3 million cases. Every year 330,000 pregnant women with syphilis receive no treatment resulting in 110,000 children born with congenital syphilis and a similar number of miscarriages. "Early diagnosis is essential because to cure syphilis we only need penicillin. It is very cheap, very easy. The sole challenge is to obtain immediate diagnosis," says Monica Mar?n, Professor of Biochemistry and Molecular Biology at Uruguay's University of the Republic. Unfortunately, she says, commercial kits for early syphilis detection are too expensive to use in a systematic screening of all pregnancies in Latin American countries where, in some areas, there are five new cases daily. The proteins needed for the test come from the bacterium that causes syphilis. And reducing the price of the tests requires producing high volumes of these proteins, explains Dr. Mar?n. That's where UNU-BIOLAC provided help, supporting two courses in the development of diagnosis methods and recombinant protein production and purification processes. "BIOLAC was the starting point. Without them, this could not have been possible," says Dr. Mar?n. The courses, conducted in Paraguay, were co-organized by Graciela Velazquez and Graciela Russomando of Paraguay and, from Uruguay, Dr. Marin and Mario Se?orale. They set a simple problem-based goal: develop a $1 dollar early detection kit that would work as easily as popular pregnancy tests. The syphilis test would be administered together with the pregnancy test in health centers, allowing for immediate point of care administration of penicillin to treat any detected infection. Says Dr. Mar?n: "Obtained via DNA technologies used in the training courses, the proteins have proven highly sensitive and specific in detecting syphilis. To mass produce them, we are now using BIOLAC workshops to optimize the genetic expression and purification experimental procedures." "By next year, we anticipate having ready to use throughout Latin America a diagnostic test of the same quality as those available commercially today but at least 25 times cheaper." "UNU-BIOLAC provides training and undertakes research at the intersection of science, technology, and society, helping the region employ modern biotechnology in social and economic development," says Jose Luis Ramirez, Director of the UNU-BIOLAC programme since year 2000. The Programme's priority research areas: Climate change and bioenergy, human health and controlling the vectors of disease, industrial and agricultural biotechnology, art conservation, intellectual property, and technology transfer. UNU-BIOLAC's work in the use of biotechnology to preserve items of priceless cultural value was highlighted in 2009 (see http://bit.ly/14x36hO). As stated at the time: Entire collections of museums of several tropical countries are compromised by climate change and lack of funding. Headquartered in Caracas at the campus of the Instituto de Estudios Avanzados beside Simon Bolivar University, Dr. Ramirez says a priority in this field is to halt the slow decay of archives of Bolivar's papers. "UNU-BIOLAC has played a proud and important role in many proud achievements over the past 25 years, exemplified by such breakthroughs as the genetic sequencing of an increasingly valuable grape and the development of a low-cost test for syphilis -- a common and devastating illness," says Dr. Ramirez. Says United Nations Under Secretary-General David Malone, Rector of UNU: "The conviction driving the launch of this programme -- that biotechnology science can make a major contribution to the health of the people and economies of Latin America and the Caribbean -- has proved true in so many ways over the past quarter century. We look forward to exploring further new possibilities of great relevance to these regions in years ahead." UNU-BIOLAC, established in Caracas in 1988 with core funding from the Government of Venezuela, is a research and training programme of the United Nations University. The programme's mission: "To promote the application of biotechnology for the development of Latin American and Caribbean countries, by building capacities and generating new knowledge and conducting focused research to solving constraints which are critical to the region." One of the three UNU Research and Training Centres / Programmes headquartered in the developing world, UNU-BIOLAC connects academic institutions and researchers throughout the region, promoting workshops, seminars, training courses, lectures and similar academic activities; and by financing training fellowships for young researchers. In a six-year period, UNU-BIOLAC has designed, promoted and organized the implementation of 61 training courses, involving the participation of 4,512 persons from 13 Latin America and Caribbean countries; 880 fellowships were assigned. UNU-BIOLAC's work in biosafety and related capacity building is ranked among its most successful, with a direct spin-off in the establishment of a tracking facility for genetically modified organisms in the IDEA (Instituto de Estudios Avanzados), Caracas, using a contribution by the Venezuelan Government. Among other success stories: development of regional forensic science capabilities and streamlining the genomic sequencing related to local agriculture diseases. Studies related to tuberculosis and the epidemiology of infectious diseases are among key pursued, along with biosafety, bioinformatics and bioethics, all of great current relevance in Latin America and the Caribbean. Upcoming UNU-BIOLAC events include, in Ecuador, the 2nd "International Workshop on Molecular Epidemiology of Parasites and Dengue" (Oct 2-5, 2013).